You may remember that I posted recently about the Shih Tzu dog’s capability to act as a hearing dog for a deaf person? I thought you may like to learn a little bit more about the training this little dog goes through, in order to become such an invaluable part in the life of a disabled person. 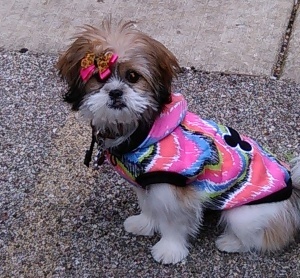 If so read on to find out what we cover when training Shih Tzu to fulfill such an important role. The first thing the dog needs is social training. 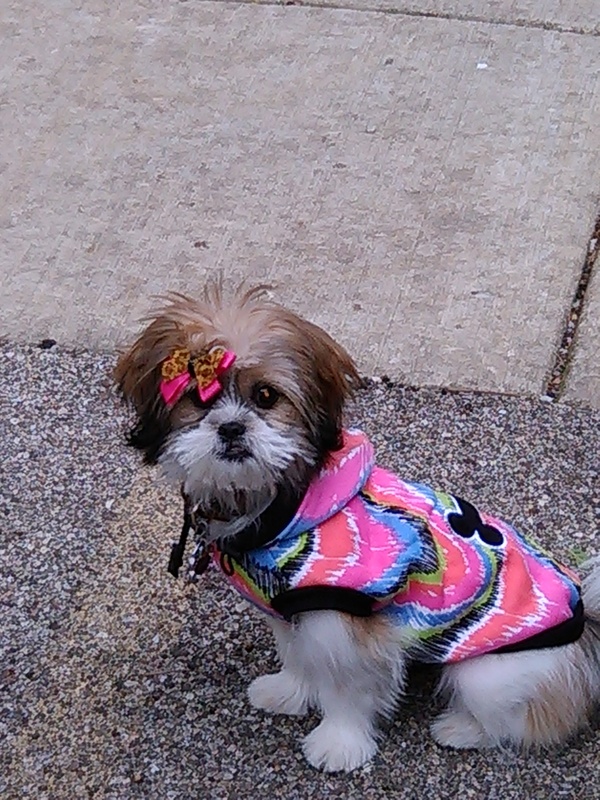 The Shih Tzu as a breed excels at this because he is such a sweet and social little dog. Whether he is rescued as an adult or carefully selected and socialized as a puppy training Shih Tzu dogs to be social is just a matter of finely tuning their already immaculate social airs and graces. The dog will spend some time in social training which includes wearing a special jacket and wandering around shops, on and off public transport and even going out to bars and restaurants. Because he is a cute and attractive little soul the Shih Tzu needs to learn to accept all kinds of unsolicited attention. The little dog usually loves this side of his training. Another area that a hearing dog must excel is in basic manners. Training Shih Tzu dogs to be well mannered in areas such as jumping up, coming back when called and not pulling on the leash is vital when preparing him to fill the role of a hearing dog. Many deaf recipients are new to dog ownership and need their dog to be well behaved and easy to handle. The Shih Tzu will learn good manners easily when in the hands of an experienced dog trainer and as long as he is motivated these manners will certainly transfer towards his recipient. The Shih Tzu is matched to his recipient early on and will be trained to alert them to each sound in the household that the dog will join. This takes a few months to perfect and by the end of the training period the Shih Tzu can alert his recipient to the door, the phone, the smoke alarm and cooker timer plus any other sound that the deaf person may need to respond to. Training Shih Tzu dogs to respond to sounds is a fun way to spend the working day. All dog breeds are different and whilst a dog such as the Labrador asks no questions and will do anything for the idea of a treat, the Yorkie is determined and needs careful handling, the Shih Tzu needs a certain type of motivational training. If you live with this amazing breed you will know, that unless it’s worth his while, training Shih Tzu dogs can be frustrating. So, sound training with the Shih Tzu needs to be a careful mix of clicker training, building confidence and the lure of an ever exciting reward. When you get this just right the Shih Tzu will excel in everything that he does. You may remember that I posted recently about the Shih Tzu dog’s capability to act as a hearing dog for a deaf person?